Circa 1919 this cute brick bungalow sits on an extra deep 204 ft lot that offers endless possibilities! The large tree filled backyard is the perfect outdoor space to let the kids play, pets roam free, and for hosting summer BBQ’s! It also provides an amazing opportunity to flex your green thumb and create a private garden oasis. And don’t forget the oversized detached garage accessed from the quiet rear laneway! The home itself features excellent space over two levels. The main floor has an open concept living / dining room, renovated 4-piece washroom, two good sized bedrooms, and a large eat in kitchen with a walkout to the backyard. The lower level has ample storage space, laundry room, large rec room with a wood burning fireplace, 4-piece washroom, and a complete second kitchen! With a separate entrance, the lower level could be a great den, games room, nanny or in-law suite… yours to decide! 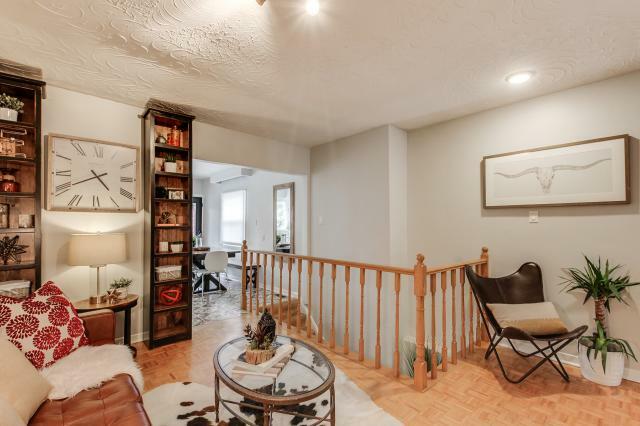 In a wonderful family neighbourhood, this charming home is a short 10-minute walk to the shops, restaurants, cafes, and TTC streetcar on St. Clair West! It is also surrounded by parks, schools, and walking distance to Cedarvale park which features four outdoor tennis courts, two sport fields, a baseball diamond, kids splash pad and playground, outdoor fitness equipment, outdoor ice rink, Phil White Arena and ravine trails. 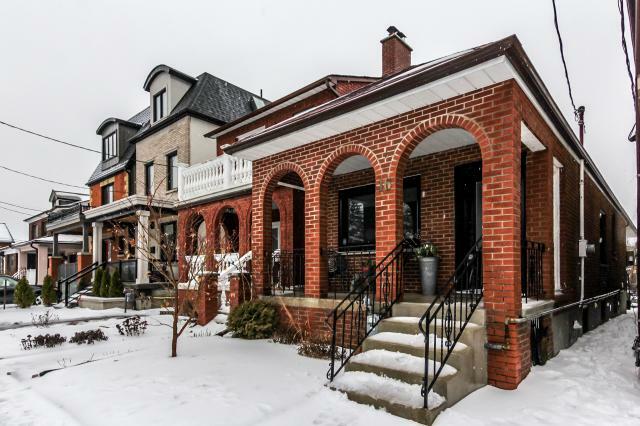 This cute Bungalow and its amazing lot are a true Oakwood & St. Clair gem!